A rainy day in Tokyo at the Meiji Jingu Japanese Gardens and Shrine. This was one of several attractions in the gardens on the walk to the Shrine. 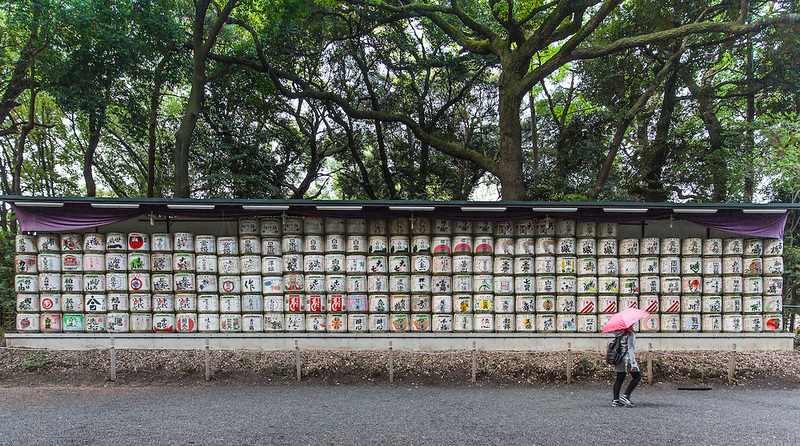 The attraction is made up of Sake casks.